Today I am doing a blog on some of the best drugstore makeup removers! 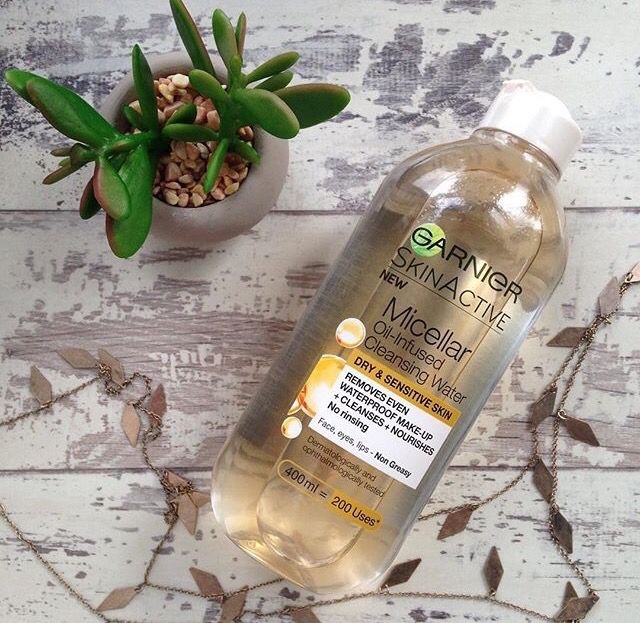 The first product is the Garnier skin active micella oil infused cleansing water which is £3.99 from boots for 400 mls. This particular product is great for dry and sensitive skin however it leave skin feeling quite oily and greasy. I would suggest using this product to get most make up off but then washing your face with a cleanser after. Overall I would rate this product a ⭐️⭐️⭐️ out of five stars because I don't like the way my skin feels. The next product I'd like to talk about is the Garnier skin naturals micellar cleansing water which is £1.99 in Superdrug for 125 mls. I love this product because it's small and is easy to carry around it would be great for things like festivals as it's easy to carry in your handbag and still provides great results. It is good for even sensative skin and removes stubborn eye makeup. I would rate this product a ⭐️⭐️⭐️⭐️ because it is great and so easy to carry around and removes makeup so easily. The third product I would like to talk about is the Nivea daily essentials 2in1 cleanser and toner which is £1.29 in boots for 200 mls. This product is my absolute favourite. It makes my eczema prone skin feel nourished without being greasy. It also gives a great base to start adding makeup on top of. I would give this product a ⭐️⭐️⭐️⭐️⭐️ because I love the way this feels the formula is great and it cleans products away and leaves my skin feeling hydrated and smooth!